Here’s a close look up a large ladder petroglyph that I was searching for on my last visit to Comb Ridge. This is the first petroglyph of a ladder that I have found, and it’s pretty cool. 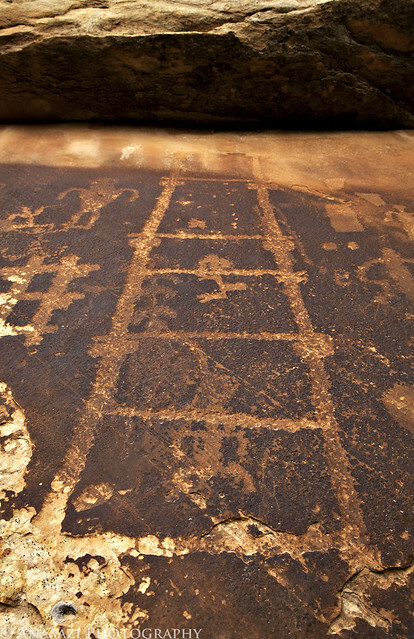 It looks like the ladder and some of the other figures were carved over some much older petroglyphs. I can’t help but wonder if this ladder is some sort of communication about the very high and almost inaccessible ruin that is found further up the canyon?